Marco Reus found the net against 1. FSV Mainz in an excellent all-round display that drew praise from team-mate Mats Hummels. Borussia Dortmund skipper Mats Hummels was full of praise for both Marco Reus and the paying public at the SIGNAL IDUNA PARK after Borussia Dortmund's 2-0 win over 1. FSV Mainz 05 on Sunday. Question: Mats Hummels, what was it like to be on the pitch with off-field events overshadowing proceedings? 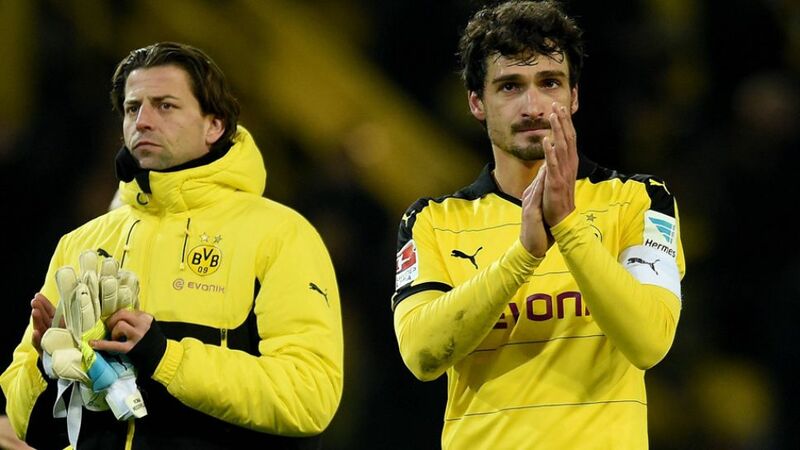 Mats Hummels: We were of course surprised, because we didn't know what had happened. We had no information, so we still had to do our jobs. We then had a quick chat amongst ourselves on the field and presumed that something serious had occurred. Obviously, the atmosphere was far from normal. In fact, I've only ever experienced something like that when I was in Paris with Germany. There were real parallels, particularly with regards to the atmosphere in the stadium. It was very quiet, yet you could still somehow sense a certain turbulence. It was really strange. Then after the game we were told straight away what had gone on. It was an excellent reaction from the crowd, particularly singing 'You'll Never Walk Alone' for the fan.